Celebrated musician Jay Lawrence has enjoyed a diverse career as a performing and recording artist. Lawrence is a distinguished drummer, ethnic and orchestral percussionist, composer and arranger, educator, clinician, adjudicator, band leader, contractor and author. Versatile and creative, Lawrence’s vast professional experience began when he joined The Musicians Union (A. F. of M.) at the age of fifteen, and was immediately in demand working as a drummer and percussionist for myriad celebrity shows in Reno, Lake Tahoe and Las Vegas. Jay is an endorser for Vic Firth sticks and brushes, Zildjian and Bosphorus cymbals, DW Drums, Remo drumheads, Musser vibraphones, Roland electronics, and LP percussion. He has been an Assistant Professor of Music at the University of Utah since 1988. Lawrence has performed in concert with many celebrities, including, The 5th Dimension, Paul Anka, Vikki Carr, Cher, Roy Clark, The Coasters, Vic Damone, Sammy Davis Jr., The Drifters, Arthur Duncan, Barbara Eden, Michael Feinstein, Andy Gibb, Englebert Humperdink, Jack Jones, Tom Jones, Ben E. King, Gladys Knight, Rich Little, Loretta Lynn, Ann Margret, Maureen McGovern, Shirley MacLaine, Liza Minelli, The Moody Blues, Anthony Newley, Donny Osmond, Lou Rawls, Della Reese, Debbie Reynolds, , Charlie Rich, Linda Ronstadt, The Royal Liverpool Philharmonic, Neil Sedaka, Frank Jr. and Nancy Sinatra, Red Skelton, The Smothers Brothers, Bobby Vinton, Dionne Warwick, Raquel Welch, and Mary Wilson. He has also played for many productions and musicals including, the Sponsors Party and African Nations Athletes Party at the 2002 Winter Olympics, Showboat, Singin’ in the Rain, City of Angels, West Side Story, Annie Get Your Gun, Fiddler on the Roof, Hello Dolly, Oklahoma, Bye-Bye Birdie, The Full Monty, Joseph & the Technicolor Dreamcoat, Music Man, The Sound of Music and Moulin Rouge. Lawrence has also performed with many jazz artists, including Shelly Berg, Jimmy Bruno, Randy Brecker, Brian Bromberg, Kenny Burrell, Cyrus Chestnut, Pete Christlieb, Dee Daniels, Eddie Daniels, Brandon Fields, Chuck Findley, Carl Fontana, Al Grey, Bennie Green, Don Grolnick, Wycliffe Gordon, Roy Hargrove, Milt Jackson, Hank Jones, Carol Kaye, Darmon Meader, Don Menza, James Moody, Nicholas Payton, Art Pepper, John Pizzarelli, Jeff Richman, Arturo Sandoval, Tom Scott, Bobby Shew, Diane Schuur, Byron Stripling, Clark Terry, Stanley Turrentine, Rodney Whitaker, and Phil Woods. Jay has toured throughout the U.S.A., Canada, Europe, the South Pacific and the Caribbean with luminaries such as Chris LeDoux, James Moody, Liberace, Enoch Train, and The Osmonds. 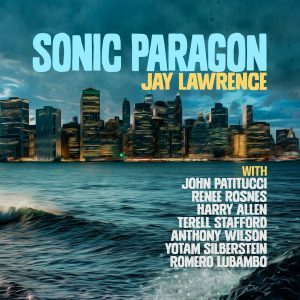 Lawrence has recorded many award-winning albums including those with Bob Mintzer, Andy Martin, Joey DeFrancesco, Mike Stern, Zoro, Chuck Findley and others. 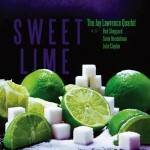 The Jay Lawrence trios’ Thermal Strut on OA2 Records, featured Tamir Hendelman and Lynn Seaton and received critical acclaim in Percussive Notes, Jazz Times and other magazines. Lawrence has recorded film scores and trailers for the following motion pictures: 101 Dalmatians, Army of Darkness, Double Impact, Eulogy, Flubber, Frank and Jessie, Gettysburg, Hercules, Home Alone 3, Huck Finn, Indian in the Cupboard, Jumanji, Man in the Iron Mask, Mighty Ducks 2, Mi Familia, Nightmare on Elm Street- Part VII, The Sandlot, Serial Mom, Stargate, Starship Troopers, Surviving Picasso, The Swan Princess, Tales From the Hood, The Three Ninjas Kick Back, U-571, Under the Moon, and When you wish upon a Star. Lawrence’s television credits include music for American Gothic, Crossroads (NBC), German Sports IDs, Hart to Hart, The Merv Griffin Show from Caesar’s Palace, Mrs. America Pageant, The HBO taping of Moulin Rouge, Orange Bowl halftime show, Ridin’ for a Fall (CMT video), Small Vices (A&E movie), Music and the Spoken Word with The Mormon Tabernacle Choir, Tenth Kingdom (mini-series), Warner Brothers promotional campaign, and Xena- the Warrior Princess series. 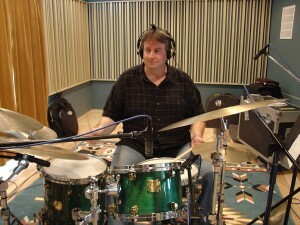 In addition to his Adjunct appointments at five colleges and universities in Utah and Idaho, Lawrence has both adjudicated and performed as a clinician at the Lionel Hampton Jazz Festival, the Utah Chapter of the Percussive Arts Society, The Gene Harris Jazz Festival, The Heritage Festivals in Las Vegas, Fidelity’s Park City Jazz Festival, at the UMEA Conference, and The Juilliard Jazz Faculty Goes to the Mountains. Lawrence has received numerous awards, including, The Best Drummer In Utah award (The Private Eye Weekly-Annual Music Poll), Utah’s Favorite Jazz Drummer(Space Agency Peer Poll), Best Drummer-Stan Kenton Scholarship Winner ( Sacramento Jazz Festival), and is a KUER Voice of Jazz and Utah Arts Council Grant recipient. Lawrence has served as President of the Salt Lake City Jazz Society and as Chief Executive Officer of Jazz Arts of the Mountain West. Jay is also a founding member of the GAM Foundations’ Jazz at the Sheraton concert series.